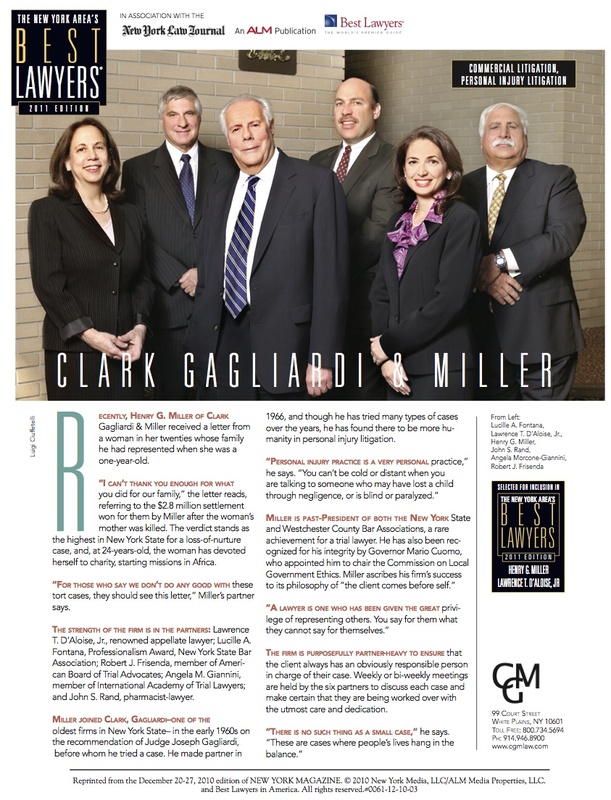 Clark, Gagliardi & Miller's Henry Miller has been repeatedly selected to the Best Lawyers in America. Because lawyers are not required or allowed to pay a fee to be included, a listing in Best Lawyers is widely regarded within the legal profession as a signal honor, conferred on a lawyer by his or her peers. For 25 years, Best Lawyers lists have earned the respect of the profession, the media, and the public, as the most reliable, unbiased source of legal referrals anywhere.